In the late 1800’s, Abraham Van Helsing tried several times to rid the worlds of monsters, but he failed. 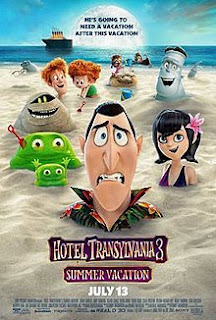 In the present day, monsters live peacefully among themselves, and they spend much of their relaxation time at Hotel Transylvania, which is operated by Dracula. Dracula’s daughter Mavis convinces her father to take a family vacation, and so Dracula goes on vacation with his daughter, son-in-law, grandson, father, and a host of friends. Together, they board the cruise ship Legacy – but unbeknownst to them, the ship is captained by Val Helsing’s great-granddaughter – and Van Helsing himself is aboard. I didn’t observe an adoption connection in the film. Dracula has been lonely since being widowed, and though he wants to find love, his adult daughter has to process her feelings about that. Dracula is supported by friends and family, and obviously cares for his family, even though he is lonely. 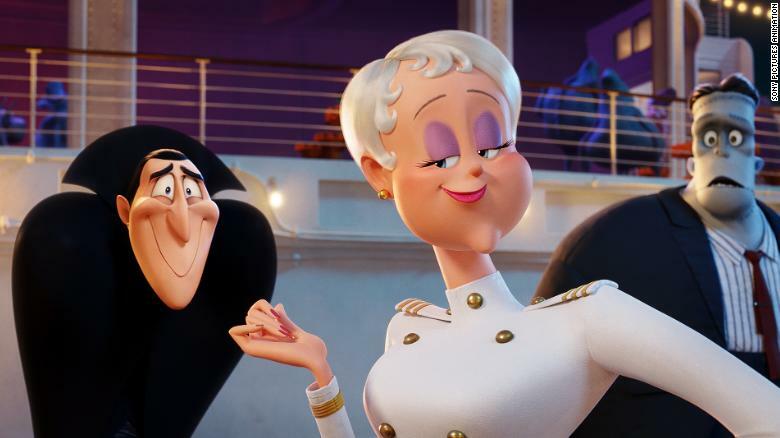 This may seem like quite a stretch, but a young viewer could leave the film understanding that a person will immediately know, on sight, who they should marry, and that that destiny can’t be stopped, even if the other person refuses or tries to hurt you. Dracula’s love interest does try to kill him several times. 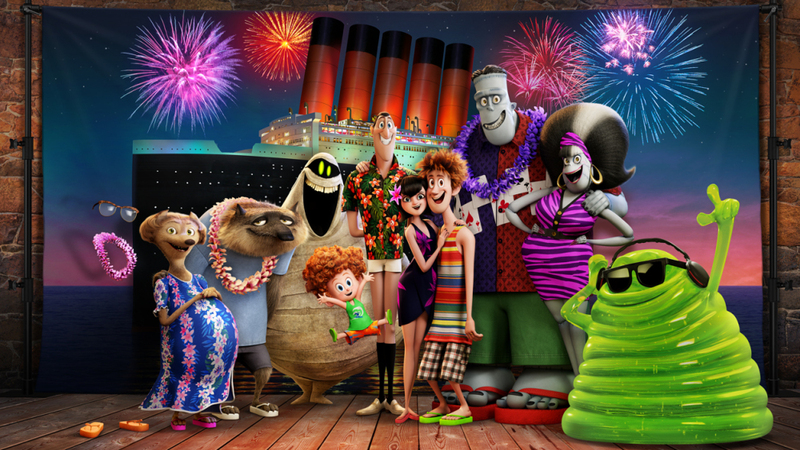 Hotel Transylvania 3 is a fun, fast movie that should appeal to most kids; it may scare younger kids, but kids ages 9 and up should be able to enjoy this one, unless they are scared by monsters or by Erica’s efforts to kill Dracula. Do you think Dracula’s family will be able to trust Erica? 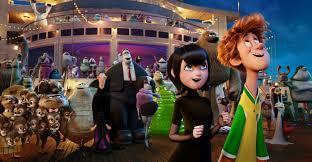 What would help Mavis feel comfortable with her dad getting married again?